February heats up with the Asian Poker Tour hosting two events, APT Tokyo Japan 2019 and APT Taiwan 2019. This will be the tour’s first visit to both of these destinations. A full schedule is in store. See details below. The APT’s arrival in Japan has been a much-anticipated moment. Through the years, the Japanese have been the tour’s biggest international supporter. Bringing the event to their homeland will surely be a special one. Scheduled to run from February 1 to 3 and February 8 to 11, APT Tokyo Japan 2019 runs on both of those weekends at Casino Stadium. 9 events are offered throughout which include the tour’s most prestigious tournaments, the Main Event – buy-in JPY 30,000 (~USD 275) – and the Championships Event – buy-in JPY 25,000 (~USD 230). Keep in mind that no cash prizes will be awarded for any of the events. Instead, players will receive packages and/or seats to APT Philippines 2019 running from April 24 to May 5 during Japan’s Golden Week. For the Main Event, only the top 4 finishers will receive varying packages with the winner awarded the biggest prize of: Main Event seat, Championships Event seat, High Rollers seat, airfare, and hotel accommodation. The Championships Event will also award the top 4 places. The winner will receive a seat to the Championships Event, airfare, and 4-night stay hotel accommodation. Following the festival above, the tour heads to Taipei for APT Taiwan 2019. Taiwan saw a spurt of growth in poker last year that it was only a matter of time that the APT made its way. The inaugural festival runs from February 20 to March 3 at the Chinese Texas Hold’em Poker Association (CTP), home of the Taiwan Millions Tournament. 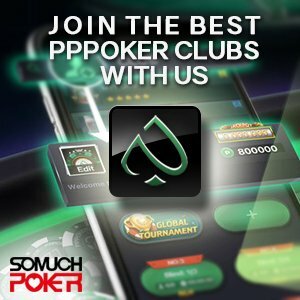 Players can expect plenty of poker to choose from. 23 events are lined up – buy-ins ranging from TWD 5,500 to TWD 215,000 – with TWD 10,000,000 (~USD 324,000) in guarantees. This is the highest-ever poker guarantee seen in Taiwan. Breaking down the schedule, the events you don’t want to miss are the Main Event and the Championships Event. These are the tour’s highly revered tournaments boasting of the best structure in the region. Each of these events come with a TWD 5,000,000 guarantee. The Main Event has a buy-in of TWD 33,000 (~USD 1,070). The schedule comprises of three starting days followed by Day 2, Day 3, and the Final 8. The Championships Event runs back-to-back with the Main Event. It has a higher buy-in of TWD 49,500 (~USD 1,606). The schedule comprises of two starting days, Day 2, Day 3, and the Final 8. In addition to all of these events are NLH games of varying formats, two Pot Limit Omaha HI events, one Short Deck event, and a new one, the Dream Maker 5% Payout.